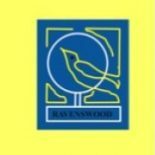 At Ravenswood Primary we are developing the principles of a Curriculum for Excellence in a variety of ways. Active learning and interdisciplinary teaching approaches, such as Storyline, allow us to set the learning within a meaningful context for our pupils and provide them with opportunities to think through tasks and solve problems using skills that they identify and make effective use of. This encourages the transfer of skills from one curricular area to another. Assessment is for learning techniques provide opportunities for our pupils to be involved in the planning of topics and influence the direction the learning and teaching takes. They are able to work with their teacher to identify what they already know, what they’d like to find out more about and how they intend to demonstrate what they’ve learned. Whole school ventures such as Eco and Rights Respecting Schools gives us unlimited possibilities to develop skills in the core areas of literacy, numeracy and health and well-being whilst encouraging our pupils to be responsible citizens and effective contributors.